I am the first to admit that I am easily amazed. I use so many adjectives and descriptive words that my husband has practically banned me from ‘amazing’ and ‘unbelievable.’ It may sound dramatic, but to me the polka dot socks really were unbelievable! And the drapes inside the lobby of the W hotel? Amazing! Despite my exuberant nature, I can always recognize when something is really worthy of the descriptive words I crave. Yesterday in church was one of those moments. When the music grew quiet and we were praising the Lord as a congregation I was overtaken with gratitude. Here we were, listening to this great guitar and beautiful piano. The drums were on point and the background music as lovely as ever. But when the music stopped-the praise kept going. I kept my eyes closed and perked my ears up for all the different ways we can worship. Instruments are fantastic, but even if my six month stint with the recorder in grade school was the last time I ever touched an instrument, I could still make music. We have voices that harmonize and praise, feet that dance and stomp, hands that clap and reach for the heavens- we were created to worship just as we are. In my fresh revelation of the wonders of God’s mind I was reminded that no matter how beautiful our singing voice or how fancy our footwork- our highest form of worship will always be obedience. We have it backwards, upside down and inside out because we are asking a Holy God to do all that we want without following the formula. 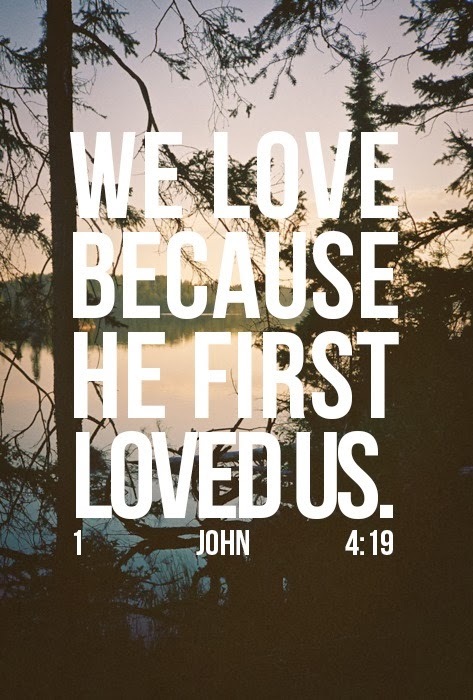 The formula is indisputable: if we love Him, we will obey Him. Matthew 6:24 has been ringing in my ears lately and I just recently discovered what it means. It declares that “No one can serve two masters. For you will hate one and love the other; you will be devoted to one and despise the other. You cannot serve both God and money.” I used to read that and think “Phew! I don’t serve money, that’s for someone else.” But the more I read it, I realized it spans over much more than money. Anything we seek above the Lord is what we are serving- including ourselves. Choosing to live according to the judgement of our weakened conscience rather than by the leading of the Word is indefinitely serving ourselves. When I was younger, I remember sheepishly saying “I love you” to my parents after scribbling on the walls or sneaking to watch the forbidden TV in the guest room. They would reply, “Don’t tell us you love us. Show us you love us.” I feel a tugging on my heart that The Lord is saying the same thing. Our love and reverence for the Him will be evident by our response to His commands. I challenge you to join me in making 2014 a year of obedience. Make a list of all the areas of your life that are disobedient to Gods Word and pray over it- asking for forgiveness and a way out. We are promised that we’ll never be tempted beyond what we can bear- there is always a way out. Watch how your life transforms as you dedicate yourself to obedience. Soooo true! After a season of deliberate, precise obedience, I am so much more aware of His love! Weird how that works, but I'm so happy it does!